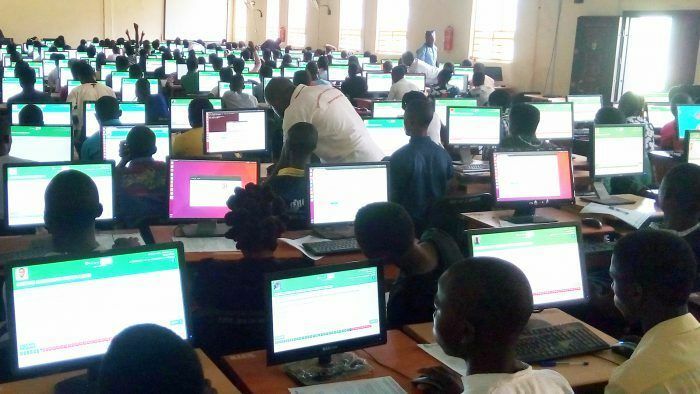 The Joint Admission and Matriculation Board (JAMB) has advised candidates for Unified Tertiary Matriculation Examination (UTME) not to panic over the delay in getting their examination centres. Dr Fabian Benjamin, the Head of Media and Information of the board gave the advice in a telephone interview with the News Agency of Nigeria (NAN) on Saturday in Abuja. Benjamin said although the crosschecking of prospective candidates data would end by 9p.m on Saturday none of them has been given examination centre. He said that candidates would be given their examination centres before the examination date. “Candidates are just concluding their registrations, so no one has received centre for the examination starting from May 13. “Hopefully by next week they will start getting their centres, so there is no cause for worry,” he said. He, nevertheless, urged all the UTME candidates to always check their emails for further updates. The Joint Admission and Matriculation Board said it had so far registered more than 1.7 million candidates for the 2017 Unified Tertiary Matriculation Examination across the country. make i no lie, na Armed robber i go do.